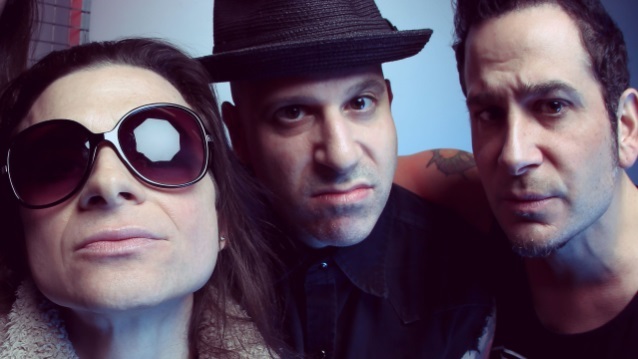 LIFE OF AGONY has announced the addition of drummer Veronica Bellino to the group's ranks. She joins the band as the replacement for Sal Abruscato, who "amicably" left LIFE OF AGONY last month. Bellino is a New York native who has been on the rise as one of the industry's hottest young drummer/songwriters. Veronica has co-written with the legendary DMC, found a national spotlight in The Game's "Red Nation" video, worked with LL Cool J as a member of his signed band 13, conquered dozens of stages with drum icon Carmine Appice's SLAMM group, and worked with Living Legend Award recipient Jeff Beck. LIFE OF AGONY says about Veronica: "We're so incredibly happy to have her on the team."